Poor contract management is costing companies an average of 9 percent of their annual revenues. By getting a better handle on your company’s contracts, you could boost annual profitability by almost 10 percent. For companies facing financial challenges, this increase could be what takes them from the brink of disaster back to prosperity. 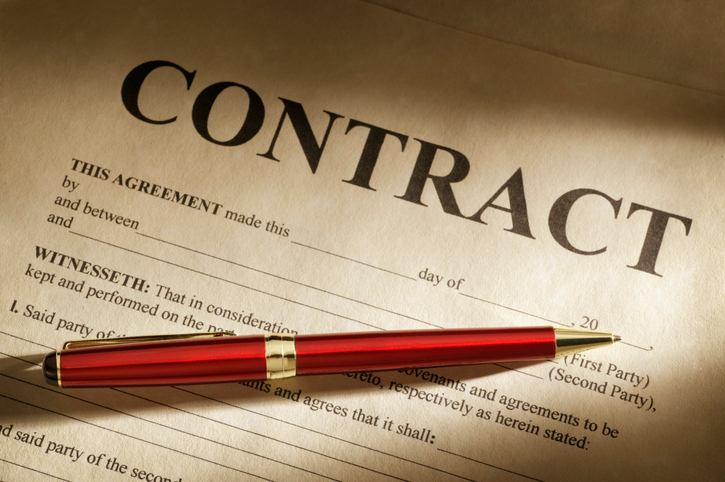 What Does Poor Contract Management Mean? The most commonly accepted definition of contract management is the process of creating, executing and analyzing contracts to ensure that the company performs to the best of its ability both operationally and financially, while minimizing risk. In other words, it’s more than a system of filing and storage in which contracts are only reviewed when it’s time for renegotiation or if there is an issue. Contract management refers to treating contracts as living documents that dictate the function of the organization, knowing exactly what the company’s obligations are — and what others are obligated to do for the company. Poor contract management, then, means not staying on top of the contracts and fulfilling obligations. It can manifest in a myriad of ways. Fines and penalties. Most contracts include clauses outlining the consequences for failing to adhere to contract terms. Without contract management, certain terms may not be met, resulting in hefty fines and penalties. This works both ways; if your contractors do not meet their obligations, you have the right to impose sanctions on them, but if you aren’t up-to-date on contracts, you might miss those opportunities. Missed deadlines. Very few contracts are open-ended. Most have expiration dates and deadlines for renewal. If you are contracted with a vendor and miss a renewal deadline, you could face business disruptions due to cancelled contracts or wind up paying more for products or services due to a failure to renegotiate or an automatic renewal. On the flip side, if you fail to proactively reach out to your customers or associates before a contract expires, you could lose a customer or be forced to renegotiate less favorable terms. Losses due to missed obligations. Without the insights you gain from contract lifecycle management, you may not have an accurate picture of your customer payment history and performance as a whole, and you might develop contracts that negatively affect the bottom line going forward. Invalid contracts. Laws and regulations are changing all the time, and not all contracts are grandfathered in at the old terms. When there are significant changes to the rules, contracts need to be amended or updated to reflect that, or they could be deemed invalid in court. This could potentially lead to thousands of dollars in losses. These are just a few of the ways that poor contract management hurts your revenue. You can avoid this by implementing a contract management system that ensures your contracts are organized. You can then easily gain visibility into what you have on the books. The first step to a true contract management system is to consolidate your contracts into a single repository. Contracts should not be stored on dozens of employee computers, in email, or in filing cabinets — or a combination of places. Rather, using contract management software is preferable. Such a program will allow you to store all your contracts in one place, making it easy to search for specific information when you need it. Another benefit to implementing a contract management system is that not only are your contracts all in one place, but you gain the visibility you need to be proactive with your contracting. Some companies opt to use spreadsheet software to keep track of key dates and milestones in their contracts, but that system can be cumbersome and inaccurate. Not to mention, it’s difficult to monitor all aspects of a contract in a spreadsheet, meaning that your employees could miss key points and considerations when evaluating and acting on contracts. Still, the greatest benefit to shifting to contract management — rather than simple contract “storage” — is that you will see increased profitability. Every business wants to see a healthier bottom line, so stop leaving money on the table by failing to manage your contracts. Melissa Thompson is a freelance producer and has worked at CNN, USA Today, and is currently the Editor in Chief of Harcourt Health. She writes about small business, social media, marketing, and productivity and is passionate about promoting a healthy lifestyle.